Two commissions I got from artists at this year's Condition. I wish I still had a scanner! I'd been about to ask KV1NN4 for some outlandish fetishy thing when I realized she hadn't ever drawn this character before. So instead I opted for simple cuteness. 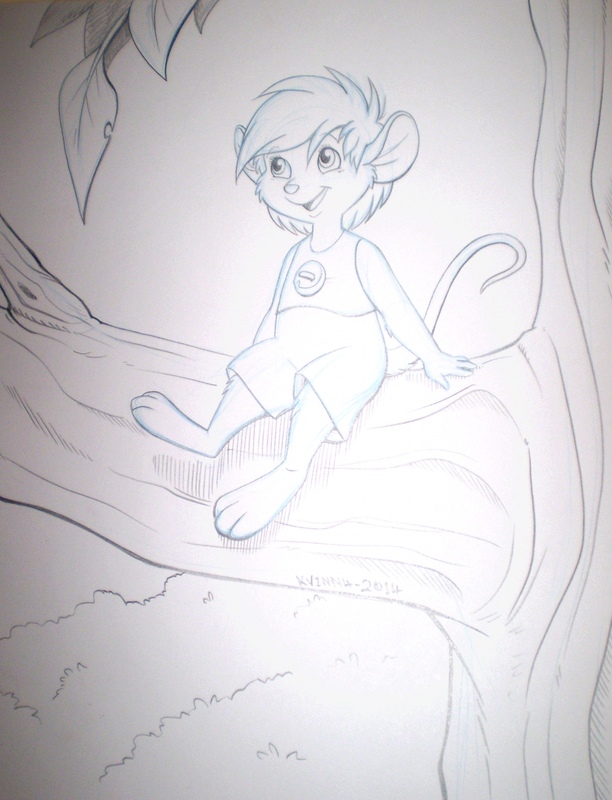 Just Abigail the woodmouse from Once Upon A Forest, enjoying the breeze on her toes. And there's never enough fanart of it!